SS Rajamouli has finally announced the Magnus opus, Baahubali Release Date. The film is releasing on May 15. The long wait has come to an End. Finally the Release Date of Baahubali is Announced by Director SS Rajamouli. The Big Day is May 15th 2015. 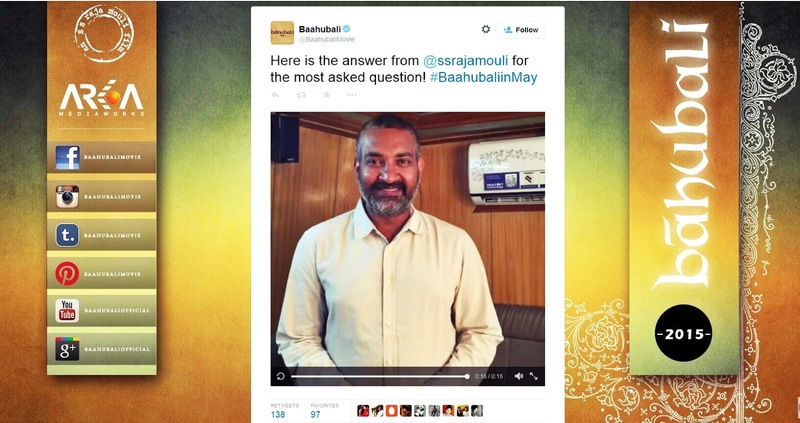 This Beautiful news was announced by Rajamouli through a small video in Twitter. Earlier April 17th has been fixed as a release date, but due to some Post production delay movie part 1 postponed for next month. Part 2 release date will be announced soon after release of part 1.